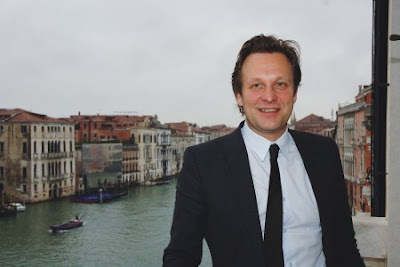 VENICE.- The Board of the Biennale di Venezia, chaired by Paolo Baratta, has appointed Bice Curiger as Director of the Visual Arts Sector, with specific responsibility for curating the 54th International Art Exhibition to be held in 2011. A graduate of the University of Zurich, Bice Curiger is an art historian, critic and curator of exhibitions at an international level. Since 1993, she has been curator at the Zurich Kunsthaus, one of the most important museums in the world for modern and contemporary art, and which has for years implemented a major exhibitions programme of international significance. Bice Curiger is co-founder and editor-in-chief of “Parkett”, one of the most authoritative and innovative contemporary art magazines in the world, published in Zurich and New York since 1984. Since 2004, she has been publishing director of the “Tate etc” magazine produced by London’s Tate Gallery. She is also the author of various publications and catalogues of contemporary art. On the occasion of her nomination, Bice Curiger declared: “It is a great honour and a privilege to be asked to be the director of the Venice Biennale, one of the world’s most important and exceptional overviews on contemporary art. I am very much looking forward to the great challenge. La Biennale is an exhibition, which is traditionally attracting a wide-ranging public, from professionals to so-called "amateurs" and art lovers. This offers the opportunity to reflect on the highly communicative aspect of today's art, which strongly engages and commits viewers - draughting a contemporary image of the individual in the broad collective and social context”. For his part, the President of the Biennale, Paolo Baratta, declared: "Bice Curiger can boast great experience in research into contemporary art, in its criticism and exhibition, and has matured a profound knowledge and esteem of the world of artists. These characteristics ensure that among the themes of the next Biennale there can be one – particularly important today – dedicated to the quality and intensification of the relationship between artists, works of contemporary art and today’s public”. The ArtReview Power 100 is not just a who’s who to contemporary art but also a guide to general trends and forces that shape the artworld. With almost a third of entries new to the list this year, and sharp divisions among the panel of international experts making the selections, this edition is one of the freshest in years. 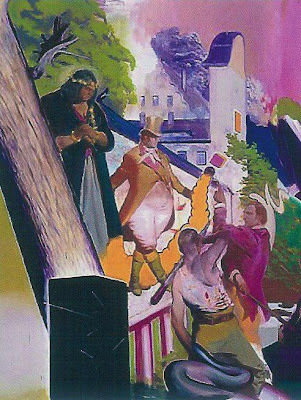 Replacing Neo Rauch as a professor is not going as smoothly as one might have hoped here at Leipzig’s Academy Hochschule für Grafik und Buchkunst. As Die Tageszeitung’s Robert Schimke reports, the Cologne painter Heribert C. Ottersbach has been selected as the successor to Rauch after the international star of the Leipzig School decided to give up his professorship, due to his workload. According to Schimke, Rauch had his own favorite replacement: the Belgian artist Michaël Borremans. Yet Borremans fell through the hiring process because he does not speak German well and lives too far away from the academy. After convincing Borremans—both a painter and a filmmaker—to apply for the Leipzig position, Rauch reportedly believed that the artist’s twin specializations would be a nod to a portion of the faculty that has no warm feelings for the traditional Leipzig school of painting, including the academy’s rector Joachim Brohm. While Brohm insists that he was not involved in the hiring process, it doesn’t help matters that Ottersbach is a friend of Brohm and one of three painting professors who come from the Brohm’s Rhineland home in western Germany. “Already in the past,” writes Schimke, “the rector had earned the reputation of taking his network into the Leipzig professorships.” Schimke doesn’t believe that the conflict represents a mere East-West career skirmish but rather a “cultural clash,” which began as a formalist debate in the 1950s in former East Germany and in the vilifications between state-branded German Democratic Republic painters and liberal-minded painters from the West. Another antagonism lies in the marginalization throughout the 1990s of the Leipzig painters by new media art and more discursive artistic practices. Schimke speculates that Brohm—a photographer socialized by the arts scene in the Rhine region during the ’70s and ’80s—might just be quickening the end of the Leipzig School. 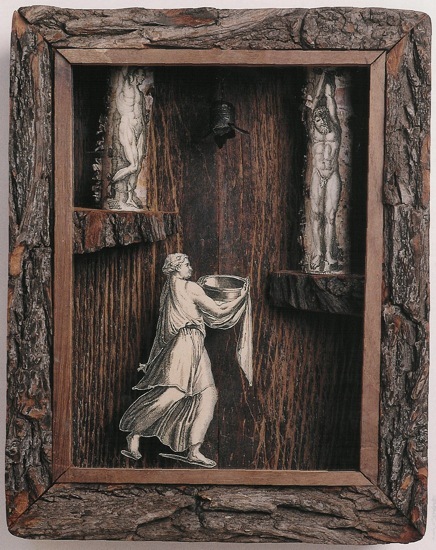 Daniel Birnbaum on "Making Worlds/Fare Mondi"
Johann Dieter Wassmann, Et in Arcadia Ego, 1887. 20 x 16 x 12 cm. “Despite his considerable achievements, Johann felt increasingly troubled as the century hastened toward its close... His suspicion that the deliberate progress of modernity was fast bearing down overwhelmed him with regular fits of fear and uncertainty. When he first caught sight of this brooding monolith his response was to back-pedal his way out of the 19th century and into his romanticized view of an earlier, less pressured era. As he came to feel more at ease with the medium of the wooden box he staged his retreat by venturing into works that he hoped might help him to combat this anguish. Here his creative impulse was most Germanic: a return to the ancient wood, with Goethe looming large, although his influences were equally eclectic. His great love of the American Transcendentalist authors Ralph Waldo Emerson and Henry David Thoreau is apparent in several works. He had grown fond of their writings while living in Washington, D.C., where he consulted on a long overdue sewerage system for the nation’s capitol during Restoration—the first in the world to be built of concrete, a pioneering design solution born of necessity amid the poorly-drained swamplands of the Potomac. "Whether conscious or not, his impulse to celebrate the ancient wood twenty years later can be read as an unsurprising response to the soulless concrete, brick and mortar that dominated his professional life. Johann had long found solace in the wood, a passion so deeply imbedded in the German psyche it was the subject of the Roman historian Cornelius Tacitus’ classic Germania; or, On the Origin and situation of the Germans, recorded in the year 98. For Roman readers, Germania served to explain why these primitive arcadians were such barbarians. For the Germans themselves, Tacitus’ portrayal of them as little more than arboreal hunters, gatherers and warriors was taken as a compliment. Germania eventually became a raw staple in their literary diet, all the more so after the first native translation was published in Leipzig in 1496. 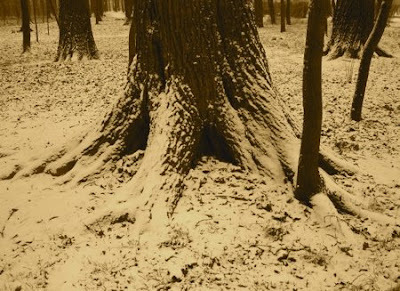 “For Johann, delving into the ancient wood was an essential catharsis, just as it would be a hundred years later for his compatriot Anselm Kiefer. In a letter to his brother Wolfgang, dated November 10, 1885, Johann writes that from the moment his saw broke the grain of his rough planks of birch, oak, pine, beech, ash, walnut, elm or whatever else might be at hand, he was magically propelled through the looking glass, moving into the wood, first physically—as he cut, planed, joined and finished the timbers—and then mentally—as he deliberated what world might inhabit the inner space of these exquisite boxes. “His experience of the wood spared none of the senses, however. The sweet freshness of pine, the acrid harshness of elm that burned the eyes and throat, the gentle pleasantries of oak: he genuinely believed as his father had that the souls of men inhabited these timbers and only by cutting into them and experiencing them fully could these souls find release. He reminded Wolfgang of the stories their father would tell them as children, the stories they would insist on hearing again and again of the family workshop in the years that followed the Battle of Leipzig, a time when their father himself was just a child. The terrible destruction of the city and surrounding villages had left such an abundance of floorboards, panelling and structural timbers that Leipzig’s woodcutters found no cause to fell a single tree for three years, instead harvesting their bounty from the rubble. 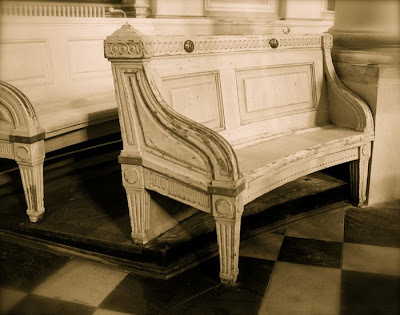 But unlike fresh cut timbers, which house only old souls, August commanded to his sons that recycled timbers uniquely house the souls of those more recently departed. “The oak parquetry of Madame Troufold’s salon, gracefully planed and mitered by their grandfather to make a small corner cupboard, had overwhelmed the workshop for a week with the perfumed elegance of a life cultured beyond their dreams. The softly worn pine floorboards of Herr Zächer’s bäckerie, despite being scrubbed with bucket and brush each morning, had brought such hunger to the journeymen when they cut into them to frame the carcass of a veneered chest of drawers that they finished their daily bread before noon, venturing out to find more before returning to their work. The walnut panelling recovered from Kapitän Brunheld’s library, the walnut that their grandfather fashioned into several fine wardrobes, had surrendered thick smoky tobacco, aged whiskey and a thousand tales of Saxon glory before the wardrobes left the shop. And the narrow ash planks from the stairway of Fräulein Nau’s bordell, the planks their grandfather had hoped to shape into dough bins, brought work to such a halt and lowered the integrity of the conversation to such a degree that he gave up in disgust, burning them as firewood, although the smoke from the fire provoked one of the men to partake in a debaucherous drinking binge lasting three days, ending with his arrest for committing unnatural acts in the public square. Johann Dieter Wassmann, Nikolaikirche, Leipzig, 1894, 18 x 23 cm. The 53rd International Art Exhibition, entitled Fare Mondi // Making Worlds // Bantin Duniyan // 制造世界 // Weltenmachen // Construire des Mondes // Fazer Mundos…, directed by Daniel Birnbaum (pictured), organized by La Biennale di Venezia chaired by Paolo Baratta, will open to the public from Sunday June, 7th to Sunday November, 22nd 2009 in the Giardini (50,000 sq.m.) and the Arsenale (38,000 sq.m.) as well as in various other locations around the city. The press preview will take place on June 4th, 5th, and 6th 2009. At this curious place in time, the once exuberant art world stands stunned and bedazzled — like a deer in the glaring headlights of the oncoming global financial crisis. The inability of the art world to respond in any meaningful way is testament to the cul-de-sac it has been driving headily and headlong into in recent years. In a debate last week at New York’s Rockefeller University, the proposition was put forward that “the art market is less ethical than the stock market.” Speaking against were Christie’s deputy chair Amy Cappellazzo, painter Chuck Close, and critic Jerry Saltz. Despite their humour, charm and best efforts, the proposition was carried: 55 percent for, 33 percent against, with 12 percent undecided. In these depths of winter, the art world sits by the fire, lost and befuddled, reading Sarah Thornton's Seven Days in the Art World, pining in remembrance of things past. Few industries have been left more exposed and bereft by their own inadequacies than the art world. On Monday, Standard & Poor’s warned that it may cut its rating of Sotheby’s bonds to below investment grade, a rating known appropriately as “junk.” Much the same could be said for the industry at large. In further news out of New York this week, Guild & Greyshkul closed its doors on Tuesday, following on from the recent closures of Roebling Hall and Cohan and Leslie in Chelsea; Rivington Arms in the East Village and 31 Grand on the Lower East Side. “In new Labour parlance, the arts had become the ‘creative industries’. Like bankers and stockbrokers, artists were expected to prop up the wobbly edifice of consumer capitalism, to generate profit, attract tourists, help Britain market itself as a cultural — and therefore financial — ‘hub’. Here in Leipzig, it’s been hard, if not impossible, to tell the collector from the curator over the past year. The city’s Galerie für Zeitgenössische Kunst (Gallery of Contemporary Art) has faced stinging criticism for hosting a series of exhibitions giving dealers, collectors and corporate art collections total freedom to display their works as they wish. Chris Dercon, the director of the Haus der Kunst in Munich, describes the initiative, entitled “Carte Blanche”, as “exactly the kind of thing that we do not need in public galleries”. The GfZK, which is a public-private partnership, receives much of its funding from public sources. It has now ceded curatorial control of half of its galleries until 2010. Many German museum directors, including myself, have expressed disquiet at the exhibitions which will give commercial galleries such as Leipzig’s Dogenhaus and Eigen + Art free run of the museum space. Further exhibitions will be drawn from collections assembled by the publishers Leipziger Verlags, industrialist Arend Oetker and his wife Brigitte; consultant Klaus and Doris Schmidt; and collectors Leon Janucek, and Vivian and Horst Schmitter. The costs are being met by the private participants, who may display the works as they please. The challenge facing Swedish curator Daniel Birnbaum, as he plans this summer’s Venice Biennale — and many other curators as they prepare upcoming events — is to prove they’re anything more than yesterday’s junk bond dealers. Will the goods they have on offer provide any real meaning to a world teetering on the brink of Depression, or are they just so many more Bernie Madoffs, peddling their Ponzi schemes as they have in recent years. The greater challenge, however, falls upon artists themselves. The collapse of the art market has meant a realignment of power, with once mighty gatekeepers now unemployed also-rans and artists back in the studio facing an enviable blank canvas on which to build a new world. “But there will be many, many changes for art and artists in the years ahead. Trying to predict them is like trying to forecast the economy. You can only ask questions. The 21st century will almost certainly see consciousness-altering changes in digital access to knowledge and in the shaping of visual culture. What will artists do with this? “Will the art industry continue to cling to art’s traditional analog status, to insist that the material, buyable object is the only truly legitimate form of art, which is what the painting revival of the last few years has really been about? Will contemporary art continue to be, as it is now, a fancyish Fortunoff’s, a party supply shop for the Love Boat crew? Or will artists — and teachers, and critics — jump ship, swim for land that is still hard to locate on existing maps and make it their home and workplace? “I’m not talking about creating ’60s-style utopias; all those notions are dead and gone and weren’t so great to begin with. I’m talking about carving out a place in the larger culture where a condition of abnormality can be sustained, where imagining the unknown and the unknowable — impossible to buy or sell — is the primary enterprise. Crazy! says anyone with an ounce of business sense. Palestine c/o Venice marks the first Palestinian participation at the Venice Biennale. Rather than adopt one theme, the exhibition takes on a conceptual framework that embraces the Palestinian people questioning the disproportionate use of the media image of nameless faces and voiceless people. Two of the art projects are collaborative interventions with diverse Palestinian communities whose members will travel to Venice to participate in the art performance and/or the Symposium. In the same spirit, it is appropriate and necessary to insure that the Palestinian communities under siege, unable to obtain travel passes, join in celebrating the first Palestinian exhibition at the Venice Biennale. In this respect, six Palestinian art institutions in Palestine will exhibit duplicates of the art works, thereby allowing Palestinian audiences to participate in the opening of the exhibition simultaneously to its opening in Venice. The Palestinian venues are: A.M. Qattan Foundation, Birzeit University Art Museum, Al-Hoash Palestinian Art court, International Academy of Art Palestine, Al Ma'mal Foundation for Contemporary Art, and Riwaq Center for Architectural Conservation. The seven participating artists, commissioned to create new works, were chosen for their outstanding commitment to their art and their ability to bridge local and global themes. Among them are emerging and established artists. They employ diverse techniques including sound installation, multimedia performance installation, site specific work, animation, photography, and video. Their art references Palestinian issues within an international artistic discourse. It is self-reflexive on the artistic process outside the boundaries of the traditional exhibition space, tackles themes ranging from the epistemology of the concept of biennales to the dialogue of cultures within architecture and urban design, and explores visual perception of objects in the mechanical state, marginality via the structural geography of the refugee camp, and the activation of an almost non-exiting community discourse on the colonialist socio-spatial reconfiguration of urban centers. Issues to be discussed will focus on art in the time of perpetual crisis, the role artists play in civil society as activist and as catalysts of democratic discourse, and the artists' activation of public spaces as alternative venues in the absence of museums and state support. Symposium participants include the artists as well as art historian Yazid Anani (Birzeit University, W. Bank), Kamal Boullata (artist & art historian), Salwa Mikdadi, Vittorio Urbani, Tina Sherwell (art historian and director of The International Academy of Art Palestine), Jack Persekian (curator, al Ma'mal Foundation for the Arts, Jerusalem & artistic director of the Sharjah Biennale) architects Suad Al Amiry (Director, Riwaq Center for Architectural Conservation) and Farhat Yousef (Head of Planning Unit, Riwaq), Ramallah. A project that will redefine the exhibition venues at the Arsenale and Giardini was approved by the Biennale Board on 12th December. At the Arsenale, the Italian Pavilion in the Tese delle Vergini area will be enlarged, expanding into another facility and facing the adjoining Giardino delle Vergini. The Pavilion will be linked by a new entrance to the Arsenale via a bridge to be built between the Garden and the Castello neighbourhood. The board is hoping the renewal will be in place for the 53rd International Art Exhibition (7th June - 22nd November 2009). The Biennale intends to rename this new facility as "Padiglione Italia". The Board also proposed the City Council to change the name of the historical building in the Giardini area, that is to bear the name of "Palazzo delle Esposizioni" of the Venice Biennale. This will emphasize its new nature, considering that this facility will be open all year round both for exhibitions and for the audience. Carol Vogel reports in today's New York Times that Francesco Bonami and Gary Carrion-Murayari have been selected as curators for the 2010 Whitney Biennial. Bonami, fifty-three, is a seasoned Italian-born curator with an international reputation, while Carrion-Murayari, twenty-eight, is a homegrown senior curatorial assistant. Bonami will serve as curator for the biennial, with Carrion-Murayari acting as associate curator. Abu Dhabi—Although the United Arab Emirates as a whole will have its first-ever pavilion at the next Venice Biennale, from June 7 – November 22, 2009, Abu Dhabi has announced it will mount its own independent exhibition as well, reports Artnet. The show's goal is to represent the "contemporary visual arts and culture from the perspective of Abu Dhabi and beyond." Always the first with new technology, and saddened in the knowledge that once again this year I have faint chance of getting around to posting Christmas cards to MuseumZeitraum’s many friends, I have decided to experiment by sending greetings harnessing the latest in communications awareness. So here’s a warm cheerio this holiday season to you and yours, via Google-alert. Knowing full well that every damn one of you has a Google-alert on yourself (what a vain lot we are in the art world - as Sarah Thornton will attest to), if you clicked through to see whose company you're keeping in the blogosphere after receiving your alert, happy holidays from all of us here at MuseumZeitraum! And as long as you’re here - gathered together on this cold winter’s night (unless you're still in Miami) - how about joining in the festive moment by adding a greeting down below. Merry Christmas to all, and to all… Gute Nacht. Jerry Saltz & Roberta Smith, Daniel Birnbaum, Paolo Baratta, Gabriel Orozco, Jeff Wassmann, François Pinault, Knight Landesman, Charles Guarino, Tony Korner, John Baldessari, Yve-Alain Bois, Paul Grabowsky, Ai WeiWei, Abigail von Bibera, Francesco Bonami, Hans-Ulrich Obrist, Onkwui Enwezor, Walid Raad, Harold Rosenberg, Charles Saatchi, Roman Abramovich & Daria Zhukova, Ed Ruscha, Beatrice Buscaroli, Luca Beatrice, Jochen Volz, Savita Apte, Tom Eccles, Hu Fang, Maurizio Cattelan, Vanessa Beecroft, Francesco Vezzoli, Sally Smart, Magdalena Sawon & Tamas Banovich, Jan Verwoert, Jennifer Higgie, Jörg Heiser, Mary Boone, Jeff Poe & Tim Blum, Paul Chan, Doug Aitken, Zhao Bandi, Benjamin Buchloh, Jim Hart, Lee Rosenbaum aka CultureGrrl, Amy Cappellazzo, Dara Mitchell, Carolyn Christov-Bakargiev, Elizabeth Ann Macgregor, Roger Buergel & Ruth Noack, Paula Cooper, R. Crumb, Larry Gagosian, Jay Jopling, Tacita Dean, Hal Foster, Sarah Thornton, Damien Hirst, Laura Hoptman, Rosalind Krauss, Holland Cotter, Jeff Koons, Takashi Murakami, Jan Avgikos, Ute Meta Bauer, James Elkins, Sussane Ghez, Thomas Crow, Richard Flood, Pamela Lee, Molly Nesbit, Michael Kimmelman, Lynn Cooke, Isabelle Graw, Jori Finfel, Tim Griffin, Don McMahon, Jeff Gibson, Michael Kuo, Scott Rothkopf, Elizabeth Schambelan, Kyle Bentley, Alexander, Scrimgeour, Laura Hoffmann, Barry Schwabsky, Carolie Busta, Nicole Lanctot, Lloyd Wise, Germano Celant, Dennis Cooper, Arthur C. Danto, David Frankel, Bruce Hainley, John Kelsey, Kazue Kobata, Donald Kuspit, Rhonda Lieberman, Greil Marcus, Declan McGonagle, Ida Panicelli, Robert Pincus-Witten, Peter Plagens, John Rajchman, David Rimanelli, Katy Siegel, Philip Tinari, Jack Bankowsky, Jean-Hubert Martin, Rosa Martinez, Maria de Corral, Cordula Grewe, Andreas Gursky, Lenore Manderson, Giancarlo Politi, James Meyer, Renee Price, Michael Lewis, Abigail Solomon-Goreau, Ulrich Keller, Hal Foster, Chrissie Iles, Hou Hanru, Peter Galassi, Maria Morris Hambourg, Sylvia Wolf, Madeleine Grynsztejn, Chris Ofili, Gerhard Richter, Peter Schjeldahl, David Zwirner, Carol Vogel, Kathy Halbreich, Sir Nicholas Serota, Iwan Wirth, Eli Broad, Steven A. Cohen, Brett Gorvy, Tobias Meyer & Cheyenne Westphal, Richard Prince, Dominique Lévy & Robert Mnuchin, Michael Govan, Marc Glimcher, Annette Schönholzer, Marc Spiegler, Alfred Pacquement, Matthew Slotover & Amanda Sharp, Barbara Gladstone, Matthew Marks, Agnes Gund, Sheikh Mohammed bin Zayed al Nahyan, Dakis Joannou, Bernard Arnault, Sadie Coles, Julia Peyton-Jones, Donna De Salvo, Don Rubell & Mera Rubell, Ann Philbin, Paul Schimmel, Patricia Phelps de Cisneros, Michael Ringier, Jose Mugrabi, Alberto Mugrabi, David Mugrabi, Chris Kennedy, Olafur Eliasson, Harry Blain & Graham Southern, Peter Doig, Bruno Brunnet, Nicole Hackert, Philipp Haverkampf, Marlene Dumas, Gavin Brown, Victoria Miro, Mitchell Rales, Yvon Lambert, Mike Kelley, Paul McCarthy, Banksy, Emmanuel Perrotin, William Acquavella, Victor Pinchuk, Cai Guo Qiang, Maureen Paley, Thelma Golden, Ralph Rugoff, Robert Gober, Iwona Blazwick, Richard Armstrong, Massimiliano Gioni, Reena Spaulings, Jeanne Greenberg Rohatyn, Shaun Caley Regen, Liam Gillick, Miuccia Prada, Francesca von Habsburg, Christian Boros, Nicholas Logsdail, Subodh Gupta, Peter Nagy, Casey Reas, Anita Zabludowicz & Poju Zabludowicz, Guy Ullens & Myriam Ullens, Laurent Le Bon, Thomas Kinkade and Anna Wintour.